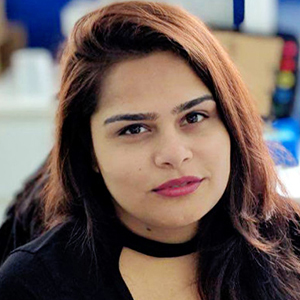 Kanchi Dheer, Spotify’s Social Marketing Lead for Asia, leads the brand’s social media presence within the region. As part of her remit, Kanchi is responsible for developing the country and channel specific strategies for Spotify in Philippines, Indonesia, Vietnam, Taiwan, Hong Kong, Malaysia and Singapore. Kanchi also works closely with the business development team and local partners to establish the creative direction, media priorities and determine KPIs within the social sphere. Prior to joining Spotify, Kanchi worked at Marina Bay Sands as their Digital Marketing Manager and while at eBay Enterprise her focus was on E-Commerce clients. Kanchi is a Master’s holder in Integrated Marketing Communications from Northwestern University.